boutiques and great shops in Naples! alligators and wildlife in your own car, or by air boat. 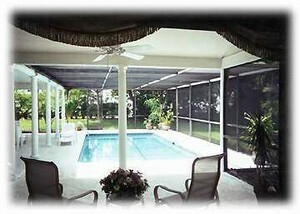 room, or poolside on the screened lanai. 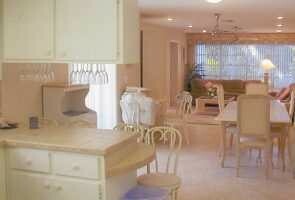 Rented the property in the first week in March, 2005 and only have positive things to say about our stay. 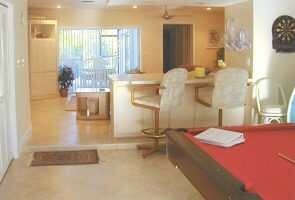 The house was ideal for travelling with a young child who requires a crib, high chair, pack and play, pool toys etc. 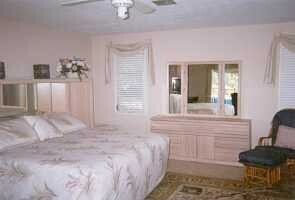 The house is equipped with everything including 5 TV's and several VCR and DVD players. The house is a short 5-minute drive to 5th Avenue, the beach and several golf courses and is a 2-minute walk to Publix (grocery) and Walgreens (drug store). Enjoyed having fresh grapefruit from the back yard every morning. The owners were very accomodating to meet our needs. 20% surcharge might apply for holidays such as Christmas, New Year & Easter weeks. Check with owner. Otherwise all-inclusive. Discount available for multiple weeks.